There is so much more information the reader would like to have when Jesus called His disciples to Him. Mark and Luke record the calling of Matthew in a brief paragraph with Matthew himself referring to the event in the third person. The three gospel writers show that Matthew was sitting at his place of work and when Jesus implored him to follow him he left his table and never turned back. When Matthew writes his book of the life of Jesus he says almost nothing about his own life. There are only seven places Matthew is named (or Levi) in scripture. He is implied in many places as being part of the apostles in their work such as being sent out with power to perform miracles or to teach in the cities. Matthew had a lucrative job. His position as a tax collector was one of wealth and certain influence in the community. Hated by his own people as a representative of the Roman oppression Matthew would be viewed with disdain by others. Jesus comes along and bids him follow after a teacher that offers no wealth, no fame and certainly no position in life. And he still follows Jesus. He leaves his table and goes after a man that will be hated by the Jewish elite and murdered because of His teaching. Matthew renounces everything he knew to be a follower of the Christ. His life would take him to the cross where he would watch the one he gave up all to follow die with the curse of a cross. Early that Sunday morning his heart would burst with great joy as he saw his Lord face to face following the resurrection. For the next forty days Matthew would revel in the teachings of the risen Savior. Watching with longing eyes he saw Jesus ascend to Heaven. Ten days later he was with Peter and the apostles baptizing three thousand disciples into the new body of Christ. And then the mission he left all to accept took on a real meaning. Through his work the gospel went to every creature under heaven. Like Peter would say later, Matthew left all to follow Jesus. The Lord saw fit not to include the story of how Matthew made that choice. Following Jesus does not take a lot of explaining. The reason Matthew left his table of collecting was that he only wanted to follow Jesus wherever He went. His heart was fully dedicated to the cause of Christ. It would be a great sacrifice but the trinkets of this world were of no value to Matthew. He knew the value of the soul over the failure of worldly pleasures. He gave his life fully to the work of the Lord. He worked tirelessly to tell others about his Lord. No doubt he suffered a martyr’s death for what he believed. He died living for Jesus because he lived to die for Jesus. He left it all. Matthew was a chosen vessel for Christ. Like Matthew we are to follow Jesus. There are things in this life we must walk away from. When Jesus calls He demands dedication. God wants all of our hearts and our minds and our souls. Our worship to Him is full. The devotion to His work is completely given to His cause. Matthew became a proclaimer of truth to others. We can do no less. It is not that we are called to leave our jobs and wander aimlessly in life. Our example in the work place should testify of Jesus Christ. The influence we have in the community should reflect the life of Jesus. As a husband or a wife, father or mother we should imitate the character of righteousness. Jesus calls us to be His disciples. Will we take up the cause? Who will follow Jesus standing for the right; holding up His banner in the thickest fight? Listening for His orders ready to obey. 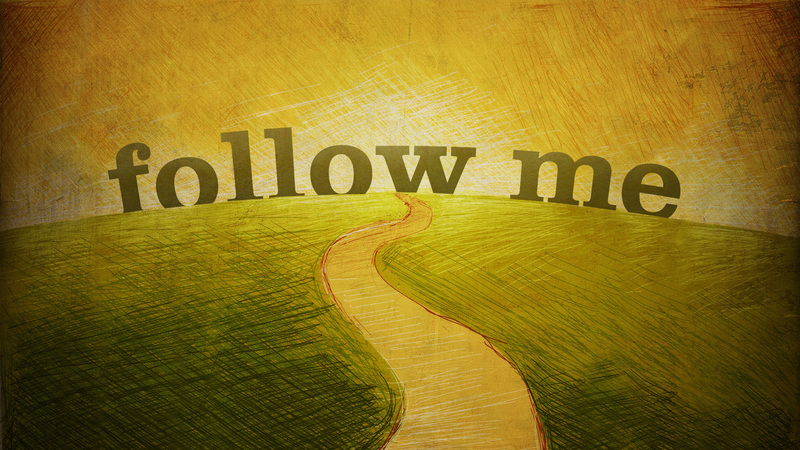 I will follow Jesus. He has called me. This entry was posted in Bible, Character Study, Christ, Christian, Jesus Christ, Matthew. Bookmark the permalink.